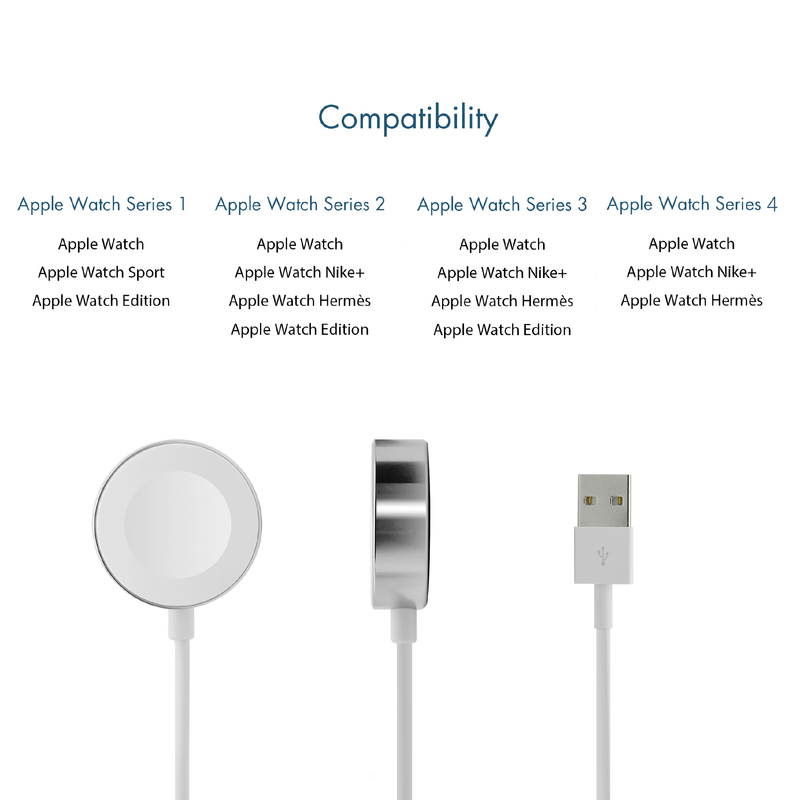 Perfect to Apple Watch Series 1 : Apple Watch, Apple Watch Sport, Apple Watch Edition. 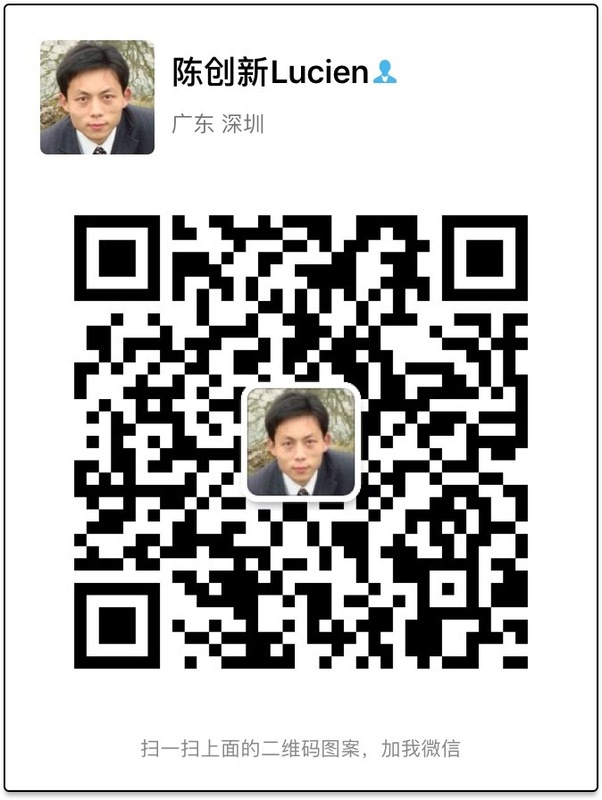 Apple Watch Series 2 : Apple Watch, Apple Watch Nike+, Apple Watch Edition, Apple Watch Hermes. Apple Watch Series 3 : Apple Watch, Apple Watch Nike+, Apple Watch Edition, Apple Watch Hermes. Apple Watch Series 4 : Apple Watch, Apple Watch Nike+, Apple Watch Hermes. 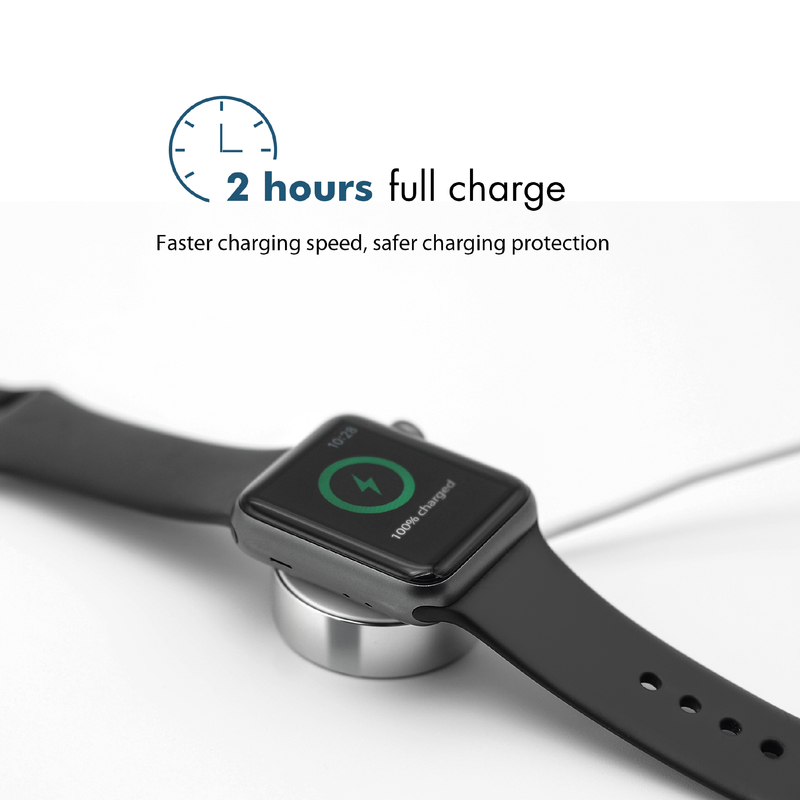 Fast Charging Speed: With a larger module surface than the original Apple charging cable, offering a fast original charging speed only needs about 2 hours. 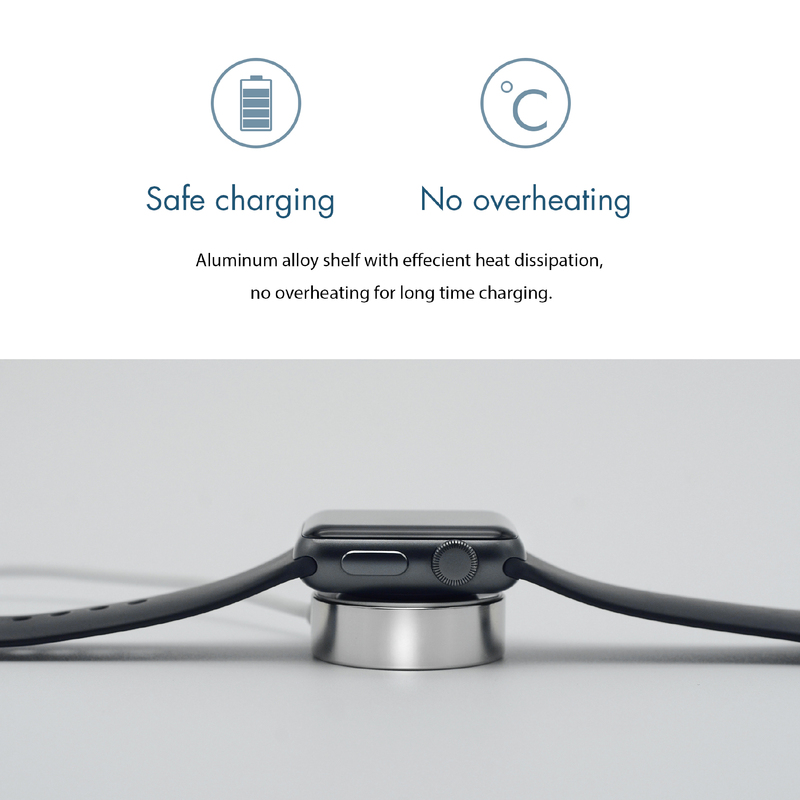 Save time and energy on charging with a high-end iWatch charger! 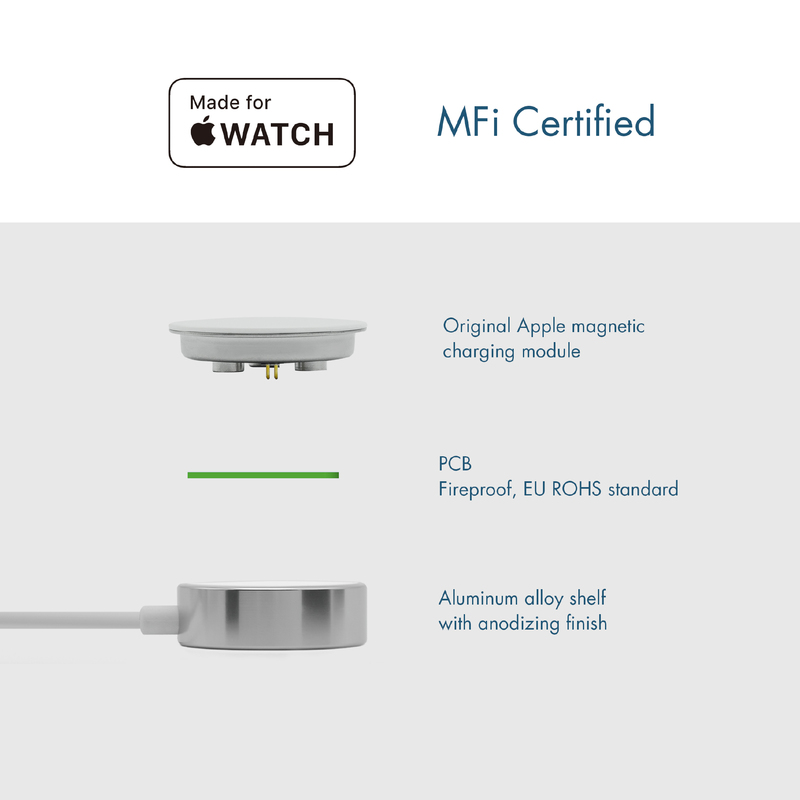 Certified Cable: The iWatch charging stand combines MagSafe technology with inductive charging compatible for all apple watch models. 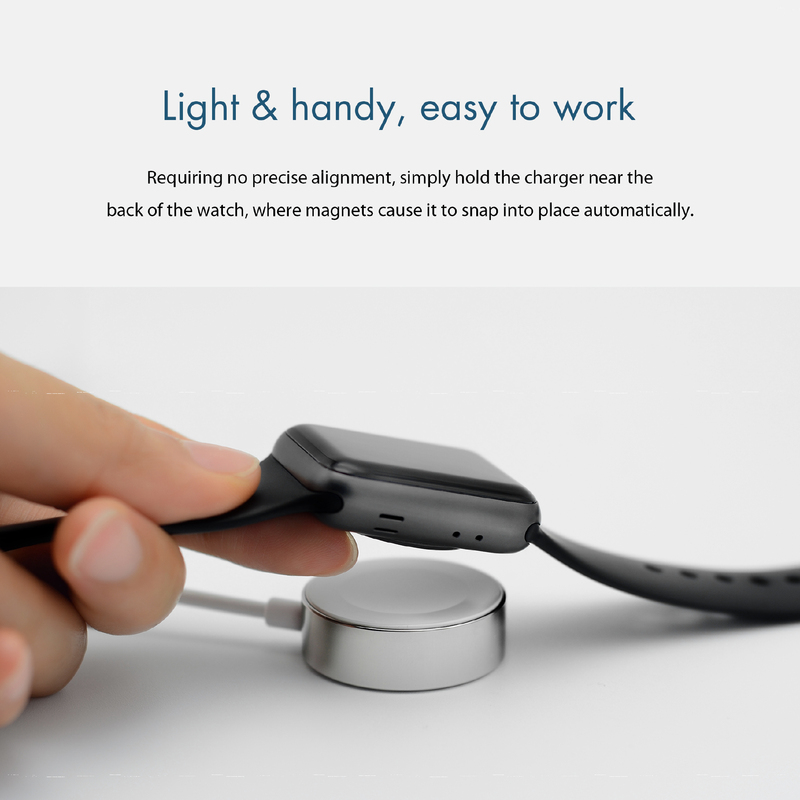 Strong Magnetic Charging Module: You can just only hold the charger close to the back of the watch and the magnet will automatically connect it, easy to use. Easily Portable: Light weight and compact. 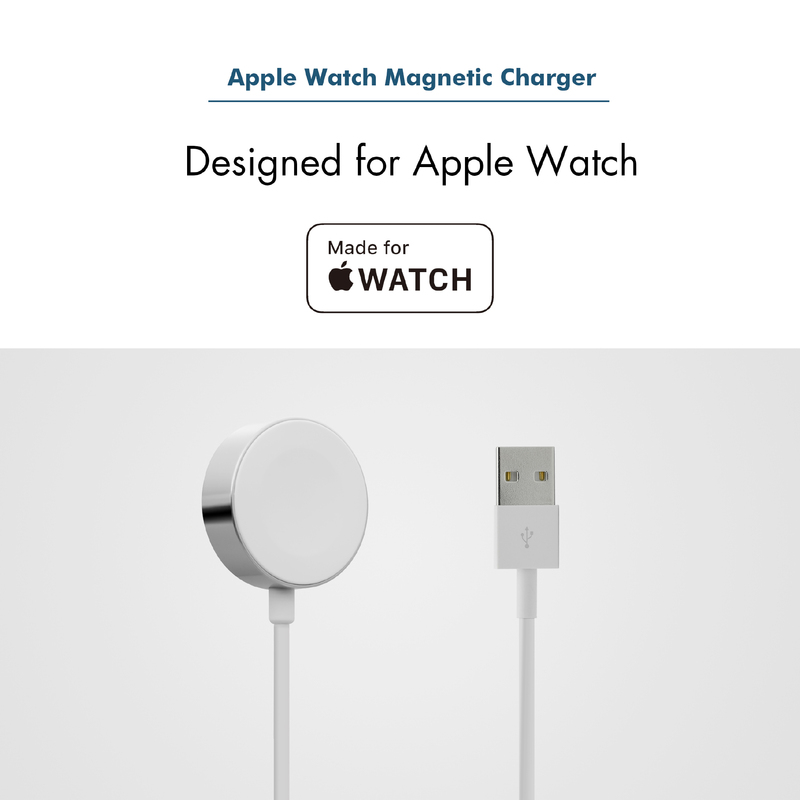 This Apple watch charger will follow you on your business trips, holidays and all your travels. 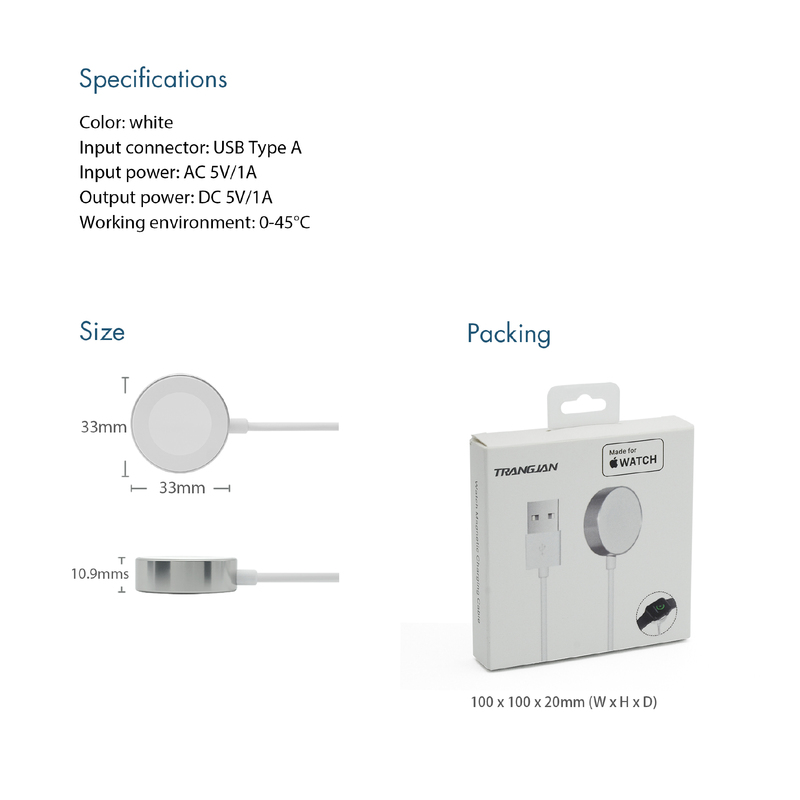 Put it into your backpack and ensure reliable charging for your iWatch wherever you are.